The Registration Forms were mailed out this week. If you do not receive one, please let us know (use Contact Us on left column of Home Page). I will be posting a copy of the form on the web site and also emailing a copy to all the classsmates who have a recorded email address on the Web Site. We are already getting a great response for the 60th Reunion and look forward to a fantastic time in June. Hope to see you there. Please help us locate and enroll missing classmates in the Web Site. Also, encourage classmates to attend the 60th REUNION (may be the last big one, who knows?). The original address of classcreator.com/Tulsa-Oklahoma-Will-Rogers-1959/ will continue to work also. COMMITTEE INVITES YOU TO OUR 60TH CLASS REUNION. COST INCLUDES: Friday evening mixer with heavy hor d'oeuveres and special guest. Saturday evening banquet, entertainment and music. Meet and Greet Hospitality Suit, Snacks and non-alcholic berverages. Lots of time for visiting old friends and talking about old days. Tour of old and new Tulsa - $42.00 per person. Tour will last 4 hours with last 1 1/2 hours at the Gathering Place. Tour starts at 10am from Double Tree Hotel. Tour will be a drive by and update of old and new Tulsa, Will Rogers High School, Route 66, Downtown Tulsa, and a visit to The Gathering Place Park. Gathering Place, a new 100-acre riverfront park in Tulsa, was designed as an inclusive green space where residents and visitors alike can relax and engage with one another. The expansive park makes use of more than 6 million gallons of water and 80 species of trees. Attractions included multi-story fireplaces, a 5-acre adventure playground, mist mountain water feature, boathouse, sensory garden, skate and bike parks,sports courts, natural trails, and a reading tree*. The park cost more than $400 million to build, most of it privately funded, and a good chunk of that from Tulsa billionaire George Kaiser. It took 4 years to build. * The reading tree was inspired by the oldest cottonwood tree at Gathering Place. A challenge was accepted by Tulsa students and completed of reading 2 million books by the time the park opened in September, 2018. Not surprising, Gathering Place was receently named the best new attraction in the country by USA TODAY. Golf Outing at newly rebuilt LaFortune Par 3 - $26.00 person. The golf outing will be held at the Par 3 LaFortune Park golf course 5501 S. Yale Ave. Starting at 9:00 Saturday morning, June 15, 2019. The green fee is $26.00 which includes a golf cart. Rental clubs will be available for those that need them. The course was totally remodeled in 2008, at a cost of 4 million dollars, new greens, fairways, bunkers, cart paths. The location is less than a mile from the reunion hotel, should you need transportation please advise Bill Warren 918-628-0757. The golf round should not take over 3 hours, come out, enjoy the companionship, and remember that they never put a golf course on an ugly spot. Hospitality Suite open Friday afternoon 14th and Saturday all day the 15th. 1. MAILING THE REGISTRATION FORM AND A CHECK PAYMENT USING THE REGISTRATION FORM BEING MAILED OUT IN FEBUARY, 2019. C/O JEAN HAMMONS, 10921 EAST 83RD STREET, TULSA, OK 74133. Contributions are still greatly appreciated to support the 60th Reunion and the Web Site expenses outlined in our Donation Center (left column on the Home Page). For every $10 donation, you will be entered in a raffle for a Surprise Memorabilia Box from the 50th class reunion. Drawing to be held at our 60th Reunion. 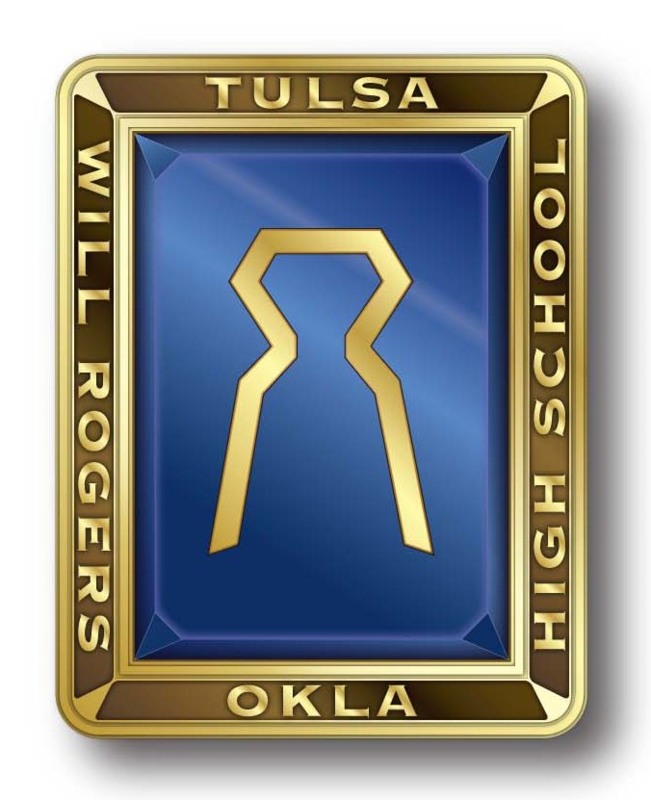 Please make checks payable to Will Rogers H. S. Class '59, c/o Jean (Waldo) Hammons, 10921 E. 83rd Street, Tulsa, OK 74133. This is a bit old but I doubt many classmates are aware of it! CLASSMATES I NEED YOUR HELP !!! We simplified the Web Site enrollment process by pre-enrolling all un-enrolled classmates with valid email addresses and sent them personal emails with the new web site address willrogers1959.com, their email address, and a personal temporary password. They can complete their enrollment by merely logging on to the web site. Many have yet to log on and therefore can not update their profile or see and respond to your comments and messages posted in the web site. You can help me by sending an email outside the web site encouraging them to finish enrolling. Go to their web site Profile Page and under their Profile Photo use the "Send A Private Email" and send your private email encouraging them to finish their enrollment process. If anyone needs to have their email address that we used to pre-enroll them or the temporary password re-sent to them, or need assistance in logging on to the website, please contact me at 480-215-2921.